Savannah, Georgia is known best for its historic charm, antebellum architecture, and having the second-largest St. Patrick’s Day parade in the U.S. This coastal city is brimming with beautiful scenery and architecture, and great places to eat, drink, and shop. With its pedestrian-friendly layout and innovative urban design, Savannah is a city easy to navigate and explore. From music and food festivals, architectural tours, art exhibits and Civil War re-enactments, the “Hostess City” brims with exciting events to entertain travelers. 1. Do a honey tasting: Get a taste of something sweet at the Savannah Bee Company where you can get up close and personal with honey bees, learn about swarming behavior, beekeeping, royal jelly, propolis, and beeswax production, taste all of the different honey offered, and participate in a discussion about origins, flavor profiles, etc. 2. Take a historical trolley tour: Take a journey back in time to the old South aboard an old-fashioned trolley and marvel over the amazing architecture and culture that Savannah has to offer. 3. Sip, shop, and stroll along Broughton Street: Spend the day walking along one of the most famous streets in all of Savannah. And since the city allows to-go cup cocktails on the streets, bring one with you and sip as you stroll. 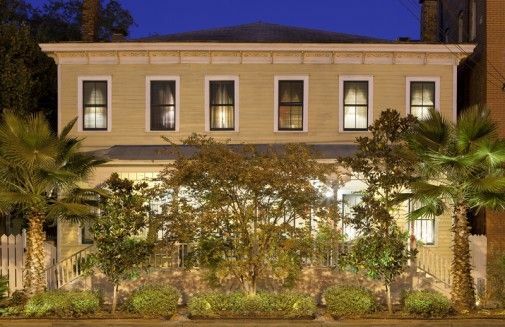 Located in the heart of historic Savannah and surrounded by an oasis on antebellum homes, this elegantly designed, one-of-a-kind inn features 5 unique guestrooms. Glamourous yet comfortable, The Olde Savannah Inn Bed and Breakfast Hotel offers luxurious amenities including a complimentary gourmet breakfast, afternoon refreshments, evening wine complete with cheese and crackers, room service, maid services, BOSE CD players, gas line fireplaces, 800 thread count 100% Egyptian cotton sheets, and more. At the end of the day, relax under a pure down feather comforter, luxury linens and custom bath accessories. 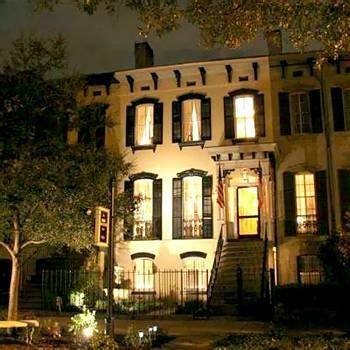 Green Palm Inn is situated just steps away from tranquil Greene Square, one of historic Savannah’s most famous public garden parks, and just a short stroll to bustling River Street and the vibrant history and culture of spectacular Savannah. With four impeccable guest rooms, expect some of the best personal service and hospitality. Enjoy a delicious homemade breakfast featuring both light and hearty Southern cuisine, indulge in the dessert bar, and relax as you savor daily wine hours complete with hors d’oeuvres. “Savannah offers an evergreen landscape year around. Yet, on Friday, March 17 – and for the long weekend through March 19, 2017 – expect the color green wherever you roam! Forsyth Park and all City of Savannah fountains in the downtown area run with green water. 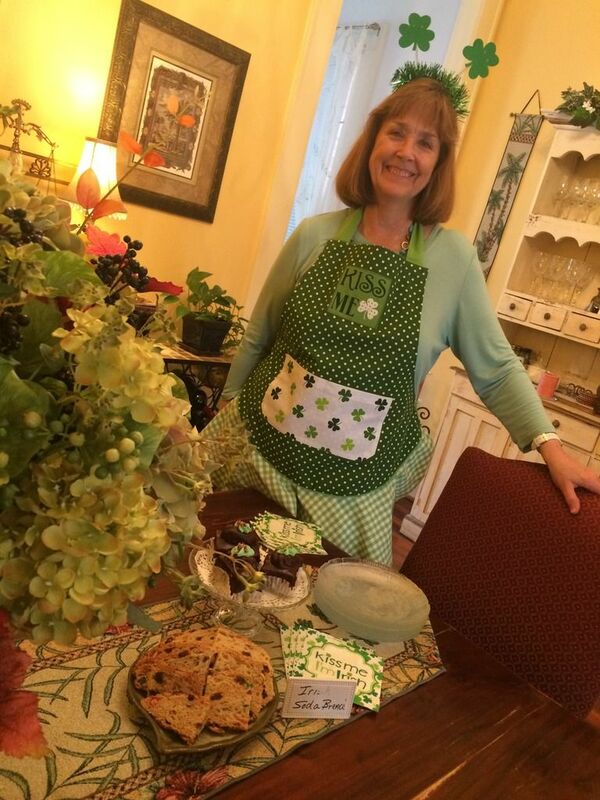 Revelers wear green, Irish green, and every green shade in hats, shirts, beads, hair, ribbons, ties, jackets, pants…everything imaginable!” says innkeeper Diane McCray Crews. The St. Patrick’s Day Parade is Friday, March 17, 2017 from 10:15 a.m. to 2:30 p.m. To make sure you get a great seat, bring your own folding chair and be in place by 8:00 a.m.
Eat breakfast early and pack and picnic lunch. Eateries in the downtown area will be packed! Follow these St. Patrick’s Day resources online: City of Savannah’s web page (with links to party-zone wristband fees for those wanting to use to-go alcoholic beverage cups, use of squares, places and ways to recycle, parade route, and street closure information), the official Savannah St. Patrick’s Day Twitter, @savstpat, and the Facebook page. Green Palm Inn provides off street parking to guests. However, if you do not have off-street parking, purchase St. Patrick’s weekend parking garage tickets early! Beginning Monday, February 27 at 8 a.m. Mobility & Parking Services will offer a pre-sale of parking spaces for the St. Patrick’s Day celebration (Thursday, March 16; Friday, March 17; Saturday, March 18; and Sunday, March 19). Here’s the link. This entry was posted in Cocktails, Culinary Escapes, Historic Getaways, Holiday Getaways and tagged Bed and Breakfast, georgia, Green Palm Inn, parade, savannah, Savannah Bee Companu, St. Patrick's Day, The Olde Savannah Inn Bed and Breakfast, travel, travel experiences by BnBFinder. Bookmark the permalink.